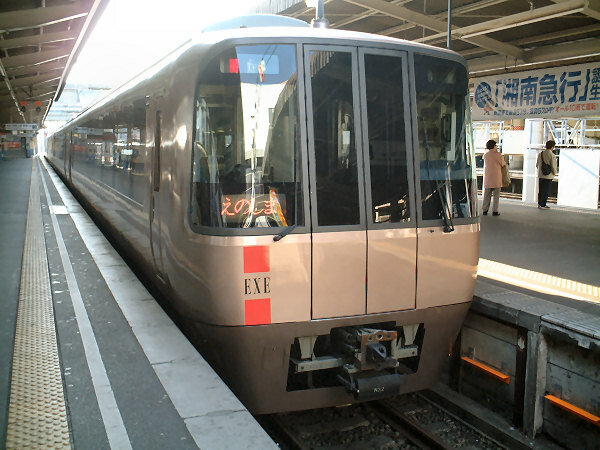 The Series 30000 "EXE" is a limited express-type electric multiple unit developed by Odakyu for its Romance Car services. 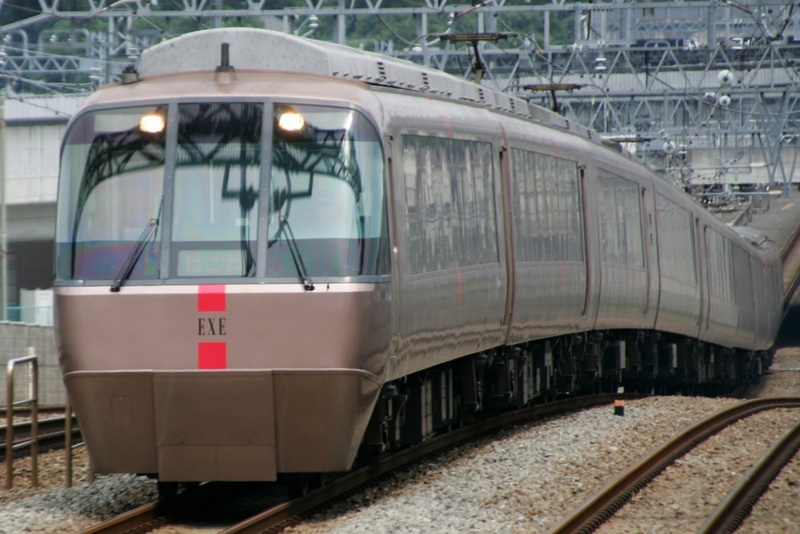 The 30000 Series was designed to increase the carrying capacity of the Romance Car fleet which it operates from Shinjuku to Hakone and Enoshima and also to become the new face of the company. Nicknamed the Excellent Express (EXE), the 30000 Series did not adopt the articulated body that previous Romance Cars used and instead uses standard bogies. It also lacks the elevated cab with panorama compartment below at the front end of the train, replacing them with a standard driver's compartments. One key feature of the the 30000 Series is that it has two types of cabs, a slant-nose cab and a flat cab with walk-through doors. A 10 car train has two slant-nose cabs at each end with two flat cabs coupled together in the middle of the train. 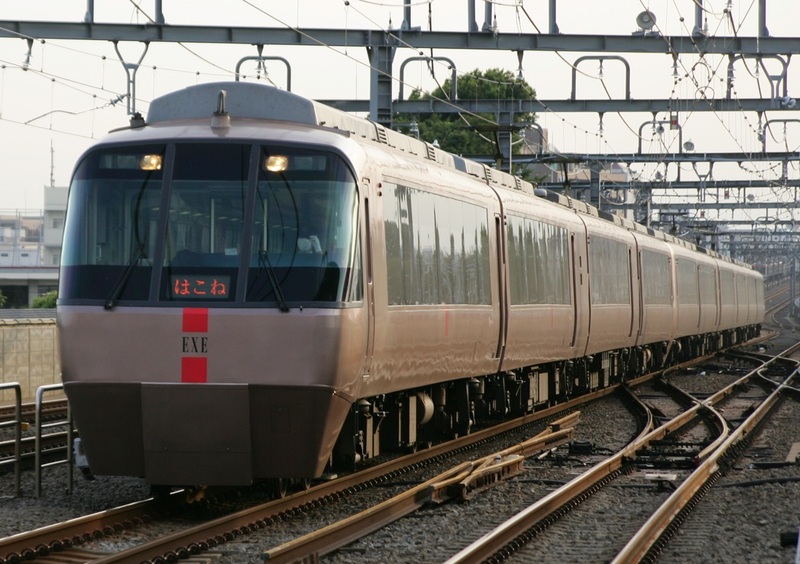 Though Odakyu planned for the 30000 Series to be the flagship of its Romance Car fleet, it proved to be unpopular with railfans as well as regular riders. In fact, the decrease in riders of the Romance Car was blamed on the 30000 Series' lack of resemblance to previous trains. The 30000 Series is the only Romance Car that failed to receive the Blue Ribbon Award, an award given to the best train design of the year.